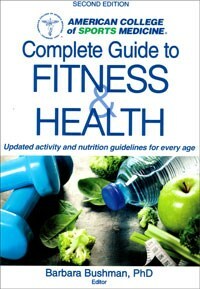 Complete Guide to Fitness & Health, 2nd ed. American College of Sports Medicine's Complete Guide to Fitness & Health, 2nd ed. 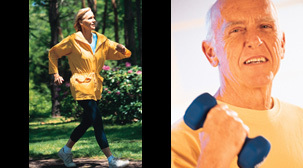 is a comprehensive resource on exercise and nutrition for consumers. Recommended for: All adults, at any fitness level. This is a multi-authored book: no fewer than 23 academics contributed to this book. The editor is Barbara Bushman, PhD. She is an exercise specialist and professor at Missouri State University. She received her PhD in exercise physiology from the University of Toledo. Dr. Bushman has many editorial accomplishments and is a Fellow in the American College of Sports Medicine. WHAT'S CHANGED WITH THIS EDITION COMPARED TO THE PREVIOUS ONE?